Wrongfully Injured in a Truck Accident? According to a report released in 2017 by PennDOT, there were “355 reportable car accidents” that occurred in Pennsylvania every day in 2016. Out of those 355 accidents, “3 persons were fatally injured” and “227 persons were injured” every day. Often, of all the possible types of vehicle accidents, crashes involving semi-trucks cause the most damage and the most serious injuries. 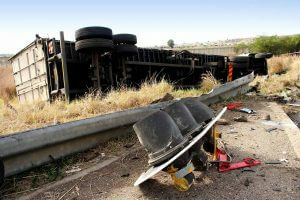 Tragically, truck accidents are often fatal for motorists and pedestrians who are involved. Therefore, these cases are often the most difficult to investigate. If you were hurt or lost a loved one in this type of wreck, then you should contact a qualified trucking accident attorney for help. 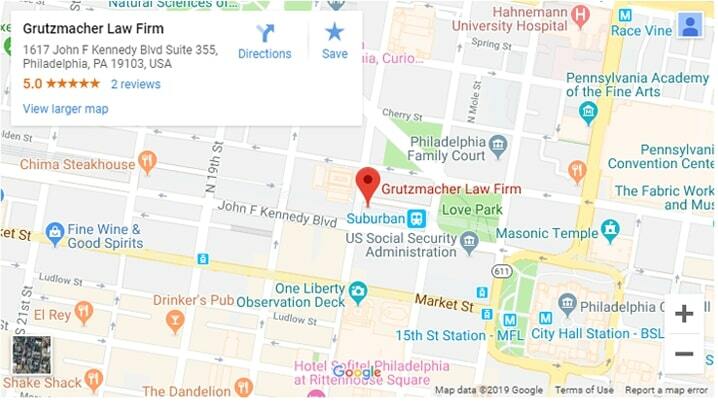 Philadelphia truck accident lawyer Adam Grutzmacher has seen firsthand what a truck accident injury can do to a person and his or her family. He has made a career out of representing wrongfully injured victims, ensuring that they have someone on their side who not only genuinely cares about their best interests, but who will fight for them. For over 10 years, Adam has successfully litigated many personal injury cases for fellow Philadelphians who have been injured in trucking accidents. What Are Some of the Most Common Trucking Accidents? While some of the causes may be the same, accidents involving 18-wheelers and other large trucks are often more catastrophic than passenger car accidents. This is largely due to the weight difference present between the motor vehicles involved in the crash; still, it can also be attributed to driver error and/or a malfunction. Broadside Collisions. When the side of a car or truck is impacted by the front end of another, that is a called a “broadside collision”, also commonly referred to as a “T-bone” accident. Some of the most common reasons for broadside collisions are failure to stop at a stop sign, failure to yield or stop and aggressive or distracted driving. Bad weather and mechanical malfunctions can also contribute to causes of T-bone collisions. Improperly Loaded, Overloaded and/or Unbalanced Cargo. Trucks toting large amounts of cargo need to be loaded with care; otherwise, it is at risk of coming loose and potentially falling into the road. Additionally, depending on the cargo, improperly loaded or unbalanced cargo can also put the truck at more risk of rolling over or jackknifing. Jackknifes. A “jackknife” occurs when the trailer portion of a semi-truck comes out of position, making the truck and trailer face each other at a 90-degree angle. Jackknives can occur for multiple reasons, with brakes and/or tires locking being the most common. Further, heavy wind, speeding down an incline and winding curvy roads pose a larger risk for large trucks, making them more susceptible to jackknifing. Driver Error. While trucking accidents due to driver error can be the result of a malfunction (such as faulty brakes or the driver not reacting properly), many are due to distracted or aggressive driving. Unfortunately, although many states have instituted the “hands-free” rule to help combat distracted driving — and can force people who have been ticketed for aggressive driving to take anger management — this has proven to not deter accidents caused by driver error. It is imperative to always practice safe driving no matter what type of motor vehicle you are operating. Irresponsible Lane Changing. Irresponsible lane changing can be due to aggressive driving or because truck drivers cannot see another driver in their mirrors. Whether you are the truck driver or another driver on the road, always be aware of your surroundings, heed warnings on the back of large trucks if they are any and never change lanes when it is dangerous to do so. These are only some common causes of trucking accidents; every situation is different and unique. A professional Philadelphia truck accident lawyer will know best how to help you if you have suffered an injury in an accident involving a large truck. Do Truckers and Trucking Companies Have to Follow Different Laws? Yes. Truck drivers and the companies they work for are legally responsible for protecting other drivers on the road. In order to do this, both trucking companies and drivers must follow certain rules that have been determined by the Federal Motor Carrier Safety Administration. Appropriate Resting Periods. There are both federal and state laws in place that determine the amount of time a truck driver must rest between shifts. These laws are meant to help prevent driver fatigue — which is often attributed as a cause in trucking accidents — and promote safe driving. Proper Loading of Cargo. As improper handling of cargo is one of the main causes of trucking accidents above, obviously not all drivers and/or companies are following the laws regarding the proper loading of cargo. Regardless of the cargo, even if it does not seem that dangerous, accidents caused by improperly loaded or unbalanced cargo can still be detrimental and potentially involve several other drivers. Insurance. Truck drivers are required by law to carry a different kind of insurance. It all depends on the type of cargo they are transporting. There are many different types of insurance that a trucker must have actually; it is up to both the driver and the company they work for to ensure that all trucks have the proper insurance. In addition to the rules listed above, truck drivers are also required to follow the rules of the road that we all must adhere to (going the speed limit, properly maintaining their vehicle etc.). If you have been injured in a trucking accident due to the negligence of the driver and/or the trucking company that employs them, then you likely have the right to file a personal injury claim. If you have been injured or have suffered the wrongful death of a loved one due to the negligence of a truck driver, then you have the right to file a personal injury claim. Further, the company the trucker works for can potentially be held liable as well. If this is the case, it is highly recommended that you seek legal counsel, especially if the trucking company is a larger corporation. Larger companies usually have a retainer of powerful lawyers on their side whose sole job is to ensure the company pays little to nothing to an injured victim. Facing the wrath of a team of opposing lawyers is all in a day’s work for Adam Grutzmacher. He is driven by his passion for helping wrongfully injured victims and has successfully represented clients across Philadelphia for years. If you are unsure how to proceed with your personal injury case or have questions, then contact our office today to schedule a complimentary consultation.